Faculty, staff, and students know when they pass by Vickie Cook on campus, they will receive a warm smile and a greeting. Vickie's kind demeanor is simply one more trait that makes her an exceptional UIS employee. She is also an optimistic problem solver, a mentor to her staff, and a leader in her field. For these reasons and more, she has been selected as the University of Illinois Springfield Employee of the Month for March. Vickie is the director of the Center for Online Learning, Research, and Service. Her nominator says she helps her staff to develop their individual strengths while also cultivating better ways to guide the team. "Each member of the COLRS staff feels supported by Vickie; each of us feels comfortable sharing goals, both professional and personal, knowing we will be heard, understood, and offered guidance," writes her nominator. Vickie's supervisor says Vickie sees her role as a "missionary of learning with the highest quality standards." She regularly remind her staff and university administrators that the purpose of online learning to take UIS to students who cannot come to the campus. She is also a trusted colleague and friend. 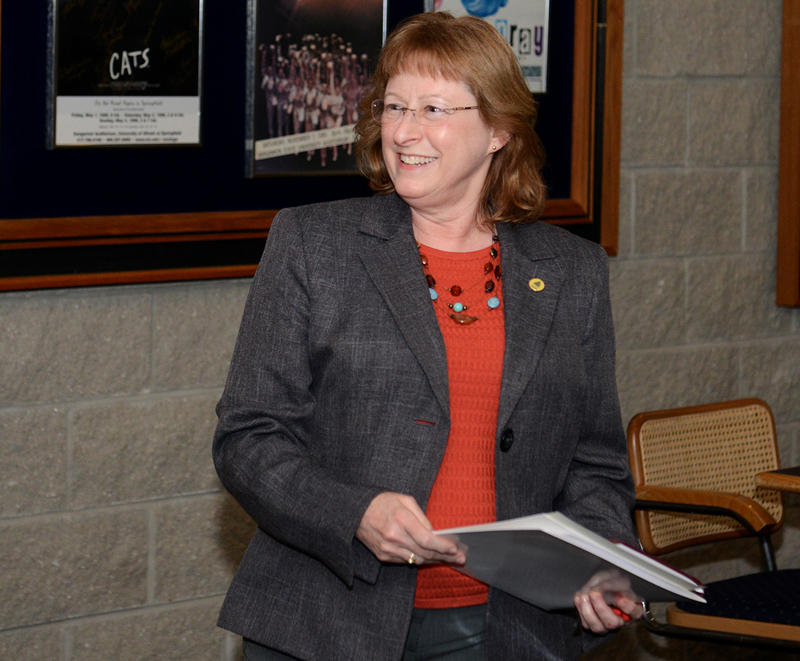 "Everyone she encounters from Provost through the deans, department chairs, faculty, support staff and students know that Vickie Cook is a dedicated professional in which you can trust," writes her supervisor. "She looks you in the eye and speaks firmly with conviction, authority and kindness." In the words of her nominator: "She is a true mentor and inspired team leader."